Alex Foxen bagged up a healthy stack of 133 big blinds on Day 3 with eyes on the £1,000,000 top prize. After eight levels of play, 63 players remain from the 224 that started the day. 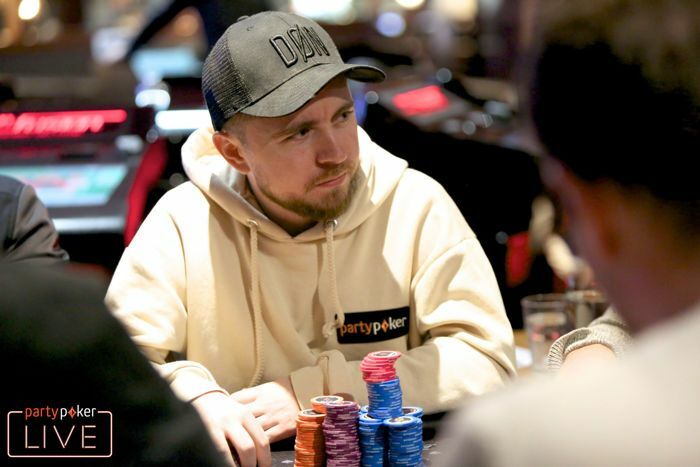 Day 3 of the partypoker LIVE MILLIONS UK Main Event was action-packed even though the bubble was an undramatic one. Bagging a huge chip lead is Alex Foxen with 46,525,000 - the equivalent of 133 big blinds. Foxen collected most of those chips when he eliminated Tobias Ziegler with aces against Ziegler's kings. 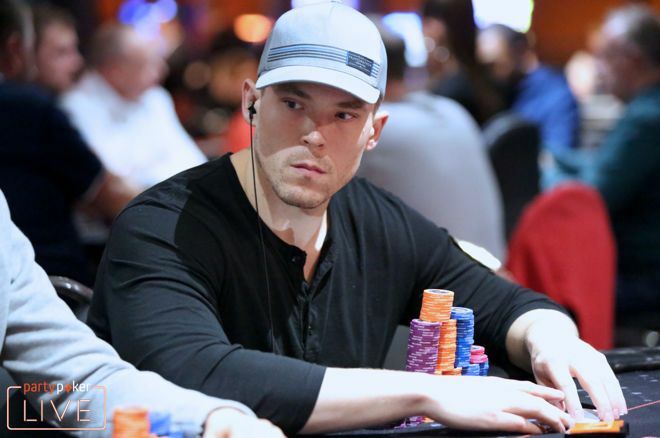 By winning that pot of around 40 million, Foxen grabbed the chip lead and didn’t let it go. Trailing him by about 30 big blinds is Fadil Isufi (35,800,000) who eliminated Niall Farrell earlier in the day. Closing the podium in third place is John Haigh with 34,275,000 in chips. Ryan Riess survived Day 3. 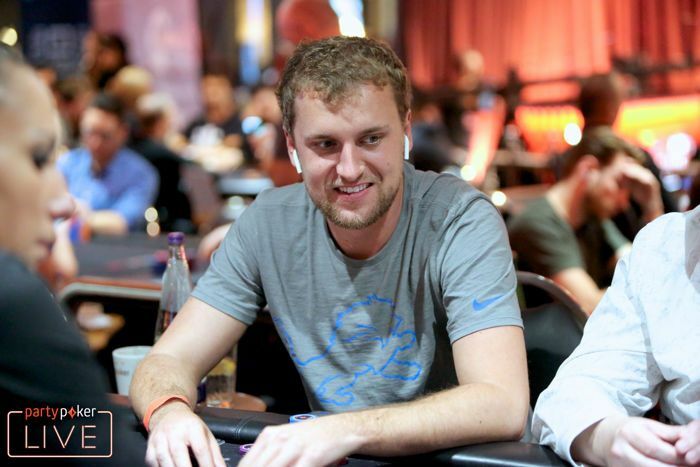 Also through to Day 4 is 2013 WSOP Main Event Champion Ryan Riess (26,650,000). Riess had 36 million at his high point but unfortunately for him lost a big pot at the end of the day. Ioannis Angelou-Konstas was short at one point and had to shove with jack-six for his last 13 big blinds and managed to hit on the river to double up. After that, he ran his stack up to a healthy 92 big blinds (32,250,000). partypoker is still represented by two pros, Kristen Bicknell (27,725,000) and Patrick Leonard (22,750,000). Bicknell spent quite some time on the feature table and managed to run her stack up to more than six times what started the day with. Leonard started on a tough table but managed to collect quite a few chips to finish with a more than above average stack. Other players also bagging today include Mohsin Charania (28,400,000), Michael Wang (21,575,000), 2018 WSOP Main Event ninth-place finisher Antoine Labat (21,200,000), Max Silver (19,725,000), Sam Grafton (19,250,000), Dietrich Fast (17,275,000), and many more. Team partypoker pro Patrick Leonard also bagged on Day 3. Players who didn’t make Day 4 but did make it into the money include Andy Black, Preben Stokkan, Paul Michaelis, James Ablott, Tom Middleton, James Mitchell, Paul Nunes, Scott Margereson, Joao Vieira, Gianluca Speranza, Manig Loeser, Christopher Andler, Ivan Deyra, Guillaume Diaz, partypoker pro Natalia Breviglieri, Niall Farrell and Michael Tureniec. Players will return at noon to play Level 25 which features a small blind of 175,000, big blind of 350,000 and a button ante of 350,000. Eight 60-minute levels of play are scheduled again, subject to change. Returning players are guaranteed a payout of at least £15,000 with a cool £1,000,000 slated for the winner. Make sure to return at noon on October 6 as the partypoker LIVE MILLIONS UK Main Event continues, and see who will make it to the final day. The PokerNews live reporting team will be providing updates until a winner is crowned, so be sure to follow along.